Happy Friday, Evalicious fans! Christine here to show you a page I made about the hike we did at Lake Poway with my husband’s parents. We were fortunate that my in-laws were visiting the week of Father’s Day, and we got to spend the day with them! I used a number of tags from the Escape collection, because the colors and sentiments went so well with my photo and our hike. I love using paper scraps where I’ve punched out something or cut something out with my Silhouette! I save those pieces of paper and then use them to layer on other layouts, like I did here with the yellow chevron paper. Another favorite technique of mine is to sprinkle stamping around the page. I used the Destination Prompts Stamp Set throughout this layout. With all the angular paper shapes on the layout, I made sure to include some circular elements to break up the angles. The circle tags and badge button does that quite nicely! Hope you are enjoying your summer so far! For our friends in the Southern Hemisphere, hope you are staying warm! 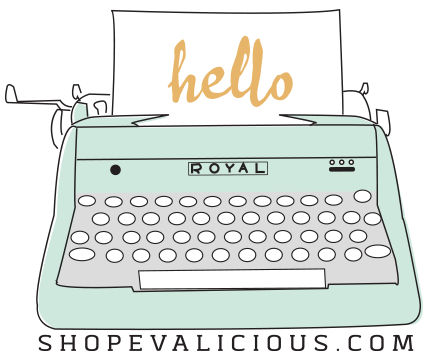 Have you created with Evalicious goodies? We would love to see them in our Flickr group!